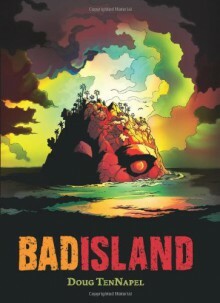 Bad Island is a pretty funny graphic novel. It was a quick read and involved aliens so it was definitely good. There was humor for kids and adults and a lot of action. There really isn't a lot to say. I enjoyed it and I think it will be a hit in the library.